That was really cool! Thanks! This was a really awesome post, thank you!! 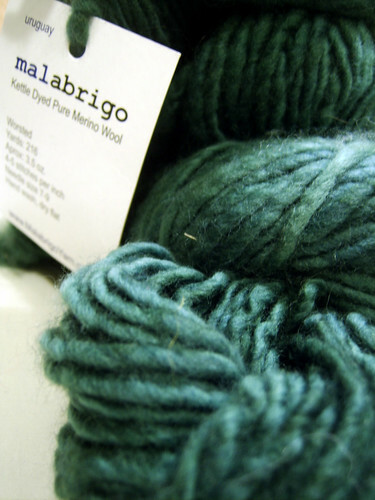 I learnt so much – I had no idea Malabrigo was so young. And I was planning on visiting Uruguay anyway at some point, but now I HAVE to go! I had the previledge of visiting malabrigo while I was visiting family in Uruguay this last January. Tobias and his staff at Malabrigo were amazing, showing me how they do their thing and letting me buy as much yarn as I wanted at a much lower price. I also tried hard to visit Manos but they are a rather closed company. They advertise themselves as a fair trade company but I have to say that Uruguayans don’t see them as non-profit or fair trade. People have complained that their pay is very low. Considering how unwilling they were to let me visit their factory, I would have to say that competitiveness is quite important to them, leaving me to wonder if those people I spoke to may be right about them. Also, although they had an outlet where you could buy some of their yarn, it is virtually impossible to find any of the yarn they export, only the cones they use to make their clothing. So, I have to say that because of the wonderful experience I had at malabrigo, their open arms and their innovation, I would personally side with them as a company. i think they are a little more upfront and transparent than Manos who I think is a little questionnable in the way they advertise themselves. I’m sorry that you didn’t have a good experience with Manos when you went. I will say, however, that Manos was recently admitted to the World Fair Trade Organization (WFTO), which has very stringent rules and runs a thorough evaluation before allowing a company to join its ranks. Since the WFTO is committed to 100% Fair Trade practices, and each company allowed to join has to be very transparent in their dealings, the rumors of unfairness are probably unfounded. 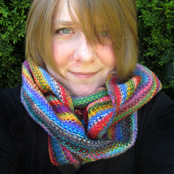 As for the feeling of not being welcome at Manos, I do know that Manos runs more independently than Malabrigo. They have multiple cooperatives, and each one is run as a small local business, sort of like a franchise. It’s very possible that you went to a cooperative that didn’t have as much experience with how to communicate with the public, and so they appeared reluctant. In my opinion the colors of Mano Wool Clasica make it unbeatable. It’s not just the range of colors, but the subtlety. There is nothing else like it and in this area, Malabrigo doesn’t come close. After reading Selma’s comment above I have to add something else here. 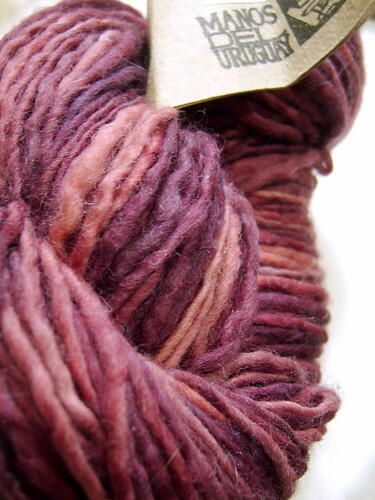 I think that Malabrigo has become more popular than Manos in large part due to the Manos distribution policies. It is much easier (and less expensive) for stores to stock Malabrigo because they buy it directly from the company and their minimum quantities are small. The Manos minimums are very high (15 kg per shade? ).Although I understand that this is because they want to sell through distributors rather than direct to stores, they base their policies on the USA model and fail to understand that there are other, smaller markets in which they could be selling. One of the reasons for stocking Wool Clasica is to take advantage of the beautiful color range but it’s impossible if you’re not in North America. Thank you so much for this informative post. I was recently in my LYS and they no longer stocked manos, but malabrigo instead. I was wondering why. 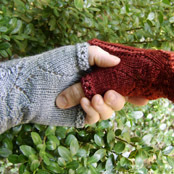 I purchased some malabrigo and have enjoyed working with it, but I still love manos too. I hope both companies can enjoy success in the marketplace. I love that Malabrigo comes in sock weight! But I prefer Manos on the whole, for its feel (I like rustic, and I’m definitely the .01% who thinks that Malabrigo Merino is ‘too soft’ haha) and the lush semi-solid shades. 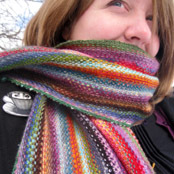 IMHO, the malabrigo ‘semi-solids’ are much too variegated and uneven, while the Manos is more subtle. It’s interesting that an above comment mentions the distribution policies. Many of my LYS’s in the VA/NC area preferred to carry Manos over Malabrigo, because the Manos was actually re-orderable. My favorite shop stopped carrying Malabrigo at all because of the long wait times between shipments. I guess that’s a testament to its popularity in a way, because it would sell out in so many shops. But it was a frustrating experience for store-owners. This was a few years ago, so maybe they’ve changed? I live in the NYC area now, so I’m sort of overloaded with choice at this point. @ selma (a.k.a selma123) – I too have heard alarming reports of Manos´ labor practices. My cousin´s wife´s family currently employs a woman once employed by Manos, and she had said the same things about low wages. Considering what they charge one would think they could afford to be a little more generous. I´m currently in Uruguay visiting family, and would love to visit the Malabrigo factory before I head back to the States. If anyone knows how I can get in touch wtih them or where they are located in Montevideo, I would greatly appreciate the information. Thank you. I too have had the pleasure of visiting the Malabrigo Yarn mill. Antonio, Tobias’s partner gave me and a friend a guided tour of the entire mill with explanations about everything they do at the mill from beginning to end. He was so sweet and let us also purchase as much yarn as we wanted to from open bins at a greast price!! He also gave us a gift of a lace weight skein each. I am a flight attendant who is lucky enough to work international destinations and i’ll be in Montevideo again this month a few times. I wrote to Manos del uruguay and they just referred me to the stores that sell their yarns. Big difference!! 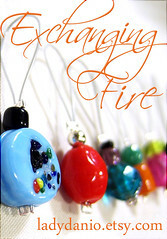 I love Malabrigo yarn, and the owners are very much in tune with their customers!!! Really awesome read – thanks for the info! I really appreciate you taking the time to put it together and explain the differences. I needlefelt into high end, upclycled, natural fiber clothing (cashmere, virgin wool, linen, tincle, bamboo and silk) making one of a kind peices of wearable art. I use Manos exclusively because of their subtle shading and color palette. The bonus has been that they are a womans coop, fair traded and hand spun. So I was excited when I saw that they sold rovings in those lovely colors as well. What has bothered me and now bothers me even more is that over the years it has been harder and harder to purchase their yarns and even more difficult to buy their rovings at a reasonable price and at the quanities I need at yarn shops. The alternative is online but after shipping and handling and not being able to eye it myself, it just doesnt work for me. I too have have found that many stores are replacing them with Malabrigo, and however lovely their colors are they just arent the colors my clients are looking for. I found your site attempting to reseach Manos, (if I can tour? How I can contact them and just to comfort this uneasy feeling I have begun to have as to why I cannot find much about them at all. )To now see comments about low wages, not much interest in allowing the public to view their work spaces and what seems to be, either mindlessly or mal-intended non transperency, has me very uncomfortable. My pieces tell a story. Each woman who wears my art can share the Manos story, the clothing pieces story and my story as an artist who creates on of a kind wearable art. To remove or have the Manos story be one of dishonesty is just sickening to me and is an artists nightmare. If there is anyone out there that can offer me any hints or leads as to how to gather more information regarding Manos and their business practices I would greatly appreciete it. Oh heavens, Manos del Uruguay isn’t a mysterious brand at all! You might be having some difficulty locating them in the English-speaking community because their distributor in the United States is Fairmount Fibers. Fairmount has a wonderful website where they talk about the people behind the scenes who spin and dye the yarn and fiber they sell, and they are constantly updating it with new photos. 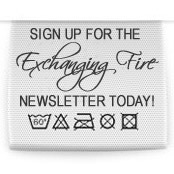 I will say that Manos is geared toward the knitting and crocheting fiber arts world, so perhaps you are having some disconnect because they sell their fiber to handspinners and needlefelters, which is a smaller market that isn’t promoted as much. Luckily, their website has a great “where to buy” feature. 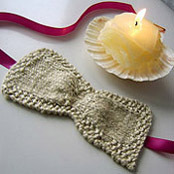 Also, if you aren’t a member of Ravelry.com, you might trying joining it and hanging out in the Manos group there. They have a Manos social media representative who talks to all of the fans there and they’ve even done a Q&A with the head Manos designer, the guy who creates all of the colorways of Manos. In the last year or so they’ve started a Limited Edition run of colorways inspired by Manos’ fans. I hope that helps you! Thank you so much! Some of those sites I visit and read up on but you’ve mentioned one I have not. Thank you!!! The more I understand, the more I am inspired. I love what I’ve known of this company and it frightened me to think that their story is not as I thought. Great article, glad I ran across it. Thank you very much for writing this article. I’ve wondered what the differences were and could never get a clear/decisive answer from various yarn store owners.